How Does A Ford EcoBoost Engine Hold Up After 200,000 Miles? Turbocharged engines haven't always been known to be reliable in the past, but have things changed? 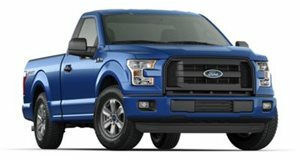 Ford’s EcoBoost engine technology was a direct result of the government’s necessary quest to ween America’s drivers off of fossil fuels, and while it was welcomed by the EPA with open arms, it came with major hurdles when it was time to sell the trucks at dealerships. Not only were buyers skeptical that a V6 could tow as much as a V8, but they had doubts about the longevity of a high-stress forced-induction engine. However evidence has emerged that might just contradict the haters. That's because a video has just surfaced on YouTube by Daniel Jaeger Films of a 2011 F-150 fitted with Ford's 3.5-liter EcoBoost V6. The odometer shows an impressive 205,268 miles on the clock, which is good for any engine, but especially so for one that has to deal with the high pressures that the turbocharger feeds it. So how does this engine stay so spry well into its golden years? Well, as any good doctor would tell you, regular maintenance and not going too long without an oil change. Underneath, the rubber components seem to have held up well because according to the mechanic, not a single component, engine, differential, or transfer case, is leaking. Despite the milage, the truck’s relative newness probably has something to do with how well it’s held up, but the main point to take away is that regular maintenance does wonders for any car, turbocharged or otherwise.